Has a sweet aniseed scent which is both warming and uplifting see more info. 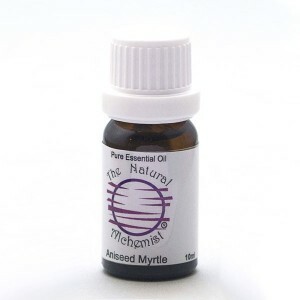 Uses: massage, inhalation, diffuser, oil vaporiser - A few drops of Aniseed Myrtle on a tissue has been known to stop coughing and aid in sleep. Used in: insect repellent, relaxation massage oils, to mask other scents, fragrances. Safety Data: Can be a skin irritant dilute before use. Use in moderation, avoid during pregnancy. External use only, do not swallow.